The Nortel Norstar MICS system can be configured to support up to 24 incoming lines and up to 274 extensions. One of our system configuration specialists will contact you to determine your exact requirements. For fast and easy service, simple this Quote Request form - one of our business phone system specialists will contact you to determine your exact requirements and provide you with a convenient quote! Please Note: If you do NOT know the system accessories (below) that you require for your exact configuration, simply enter a request for the MAIN SYSTEM here or CALL US TOLL FREE @ 1-855-929-9199. We will be happy to build your quote from your office details! This Loop Start/Disconnect Supervision Trunk Cartridge (NT7B69, NT7B75) supports four analog phone lines with disconnect supervision, and provides access for up to 4 analog central office lines. 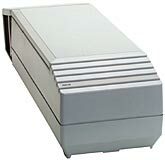 This Norstar trunk cartridge is compatible with the CICS, MICS, and the Modular 8X24. It may be inserted into the Compact ICS core trunk slots, the Modular ICS core trunk slots, the Copper Trunk Module or the Fiber Trunk Module. The Direct Inward Dialing Trunk Cartridge (NT5B37) routes calls from the public network directly to Norstar station sets, bypassing an attendant and therefore reducing traffic to the central answering position. 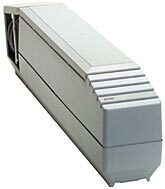 The Norstar DID line card provides access for up to 4 central office lines. This trunk cartridge is compatible with the MICS (Modular ICS) and Modular 8x24 (Release DR4 or higher) and it supports disconnect supervision, but does not support CMS/CLASS services. It may be inserted into either the Copper Trunk Module or the Fiber Trunk Module. The Fiber Trunk Module (NTBB20) is installed in conjunction with a 2 Port or 6 Port Expansion Cartridge and allows the addition of up to three Trunk Cartridges. The Fiber Trunk Module requires a power bar for installation. The Norstar Fiber Trunk Module user fiber-optic DS-30 cables instead of copper DS-30 cables. For use on the Modular ICS only. The 0x16 Fiber Station Module (NTBB41) is installed in conjunction with a 2 Port or 6 Port Fiber Expansion Cartridge and allows the addition of up to 16 station sets. The Fiber Station Module requires a power bar for installation. The Norstar Fiber Station Module uses fiber-optic DS-30 cables instead of copper DS-30 cables. For use on the Modular ICS only. The 2-Port Fiber Expansion Cartridge (NTBB02) allows the addition of up to two Fiber Trunk or Fiber Station Modules. The cartridge is required to enlarge the system beyond the base controller. This Norstar cartridge uses a fiber-optic DS-30 cable that is included. For use on the Modular ICS only. The 6-Port Fiber Expansion Cartridge (NTBB06) allows the addition of up to six Fiber Trunk or Fiber Station Modules. This cartridge is required to enlarge the system beyond the base controller. This Norstar cartridge uses a fiber-optic DS-30 cable that is included. For use on the Modular ICS only. The 0x8A Analog Station Module (ASM) serves as an interface between a Norstar-PLUS Modular ICS and analog devices such as FAX machines, FAX Modems, credit card verification devices, as well as analog voice equipment. Note: There are TWO different Analog Station Modules - one with Message Waiting and one without Message Waiting. The Norstar ASM is an 8-port module that connects to the Modular ICS unit via a Modular ICS Fiber Expansion Cartridge. Two ASMs may be daisy-chained together and connected to a single fiber receptacle on an expansion cartridge. The ASM supports the same features and functionality as the ATA-2. The ASM will support data modem transmission speeds up to 33.6 kb/s. The 6-Port Combo Cartridge (NTBB25) allows the addition of up to six Fiber Trunk or Fiber Station Modules. As well as the Services cartridge functions for DTI synchronization to the T1 network clock or act as a master clock source, providing the clock signal for networked systems. The Combo Cartridge also supports DTMF tone recognition for T1 circuits. One Combo Cartridge will support two DTI cartridges, but for systems with growth potential past six ports, two Combo Cartridges could be used to double the DTMF capabilities for T1 circuits. This Norstar cartridge uses a fiber-optic DS-30 cable that is included when enlarging the system past six ports with T1 networking. The T1 Card (NT7B74) is a Digital Trunk Interface (DTI) which terminals a 24-channel T1 link from a public or private network. It will also support fractional T1. An RJ48 jack provides the interface to the T1 network. Each of the 24 channels can be configured to emulate either loop-start, E&M, or DID trunks. The Norstar T1 Card / DTI has an integrated Channel Services Unit (CSU). The CSU provides line isolation, signal regeneration, and network performance monitoring. The CSU can be turned off for use with an external CSU. Must use with clock services cartridge. For use on the Modular ICS only.